Nominating conventions came into being in the 1830s, after Andrew Jackson and his ilk turned party politics into a more egalitarian affair. The elite caucuses that had once chosen presidential candidates gave way to more inclusive mass gatherings where delegates styled themselves as representatives of the people. 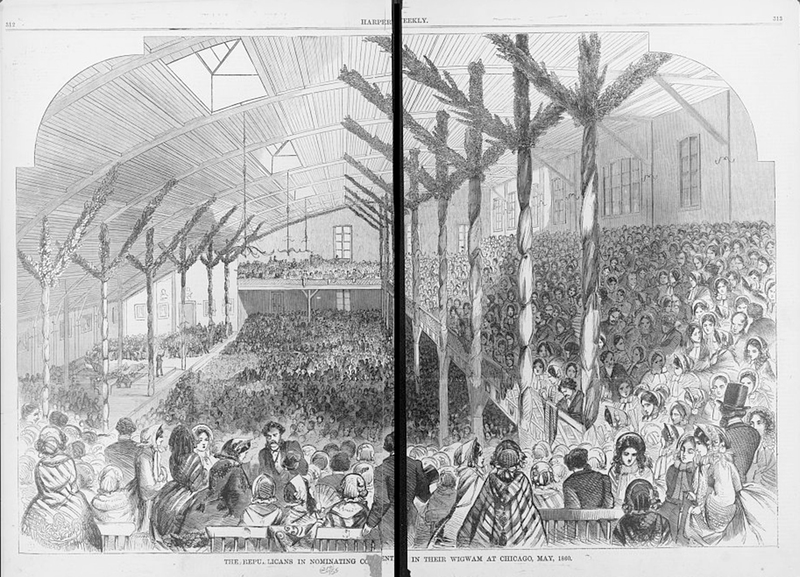 By the time the Republican Party formed in the 1850s, nominating conventions had become significant political events in the life of the country. Journalists, artists, and photographers documented the appearance and actions of the delegates and the spirit and style of the gatherings. The Republicans, though only a northern regional party, were intent on dislodging the dominant Democratic Party, which they did that November, against all odds.